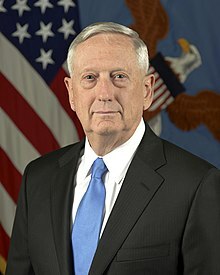 Jim Mattis, US Defense Secretary resigned Thursday, leading a chorus of protests at home and abroad after President Donald Trump ordered a complete troop pullout from Syria and a significant withdrawal from Afghanistan. “Because you have the right to have a secretary of defense whose views are better aligned with yours. “I believe it is right for me to step down from my position."